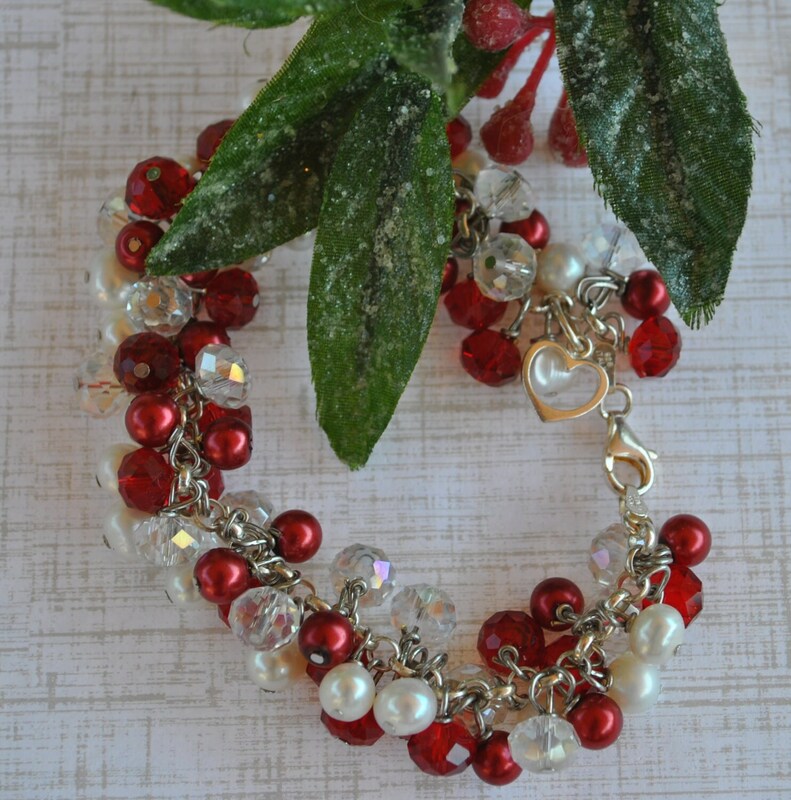 This red and white and sterling silver charm bracelet set is constructed of white freshwater pearls, red glass pearls, and red crystals. 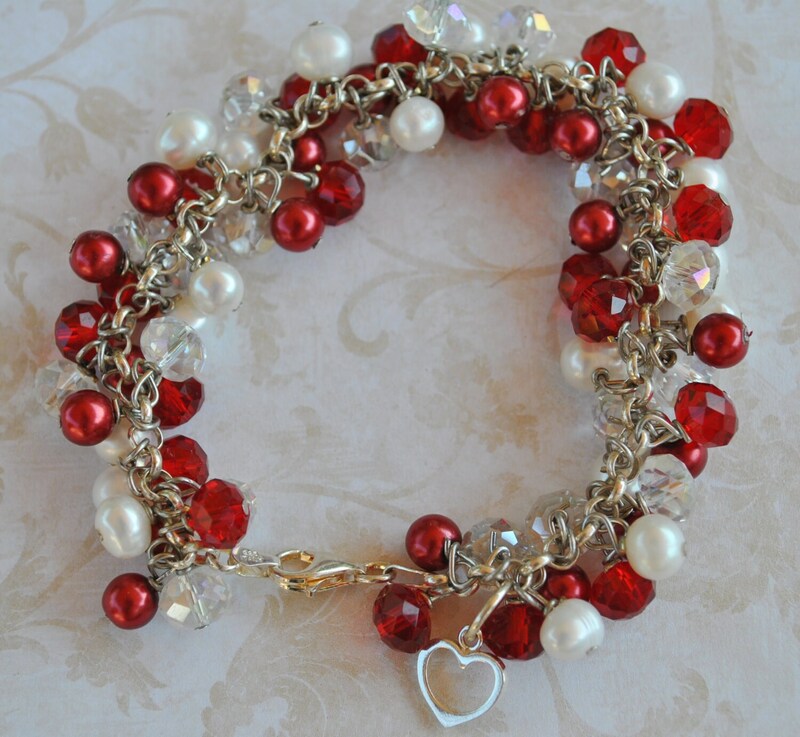 Don't miss the cute little sterling silver heart charm! 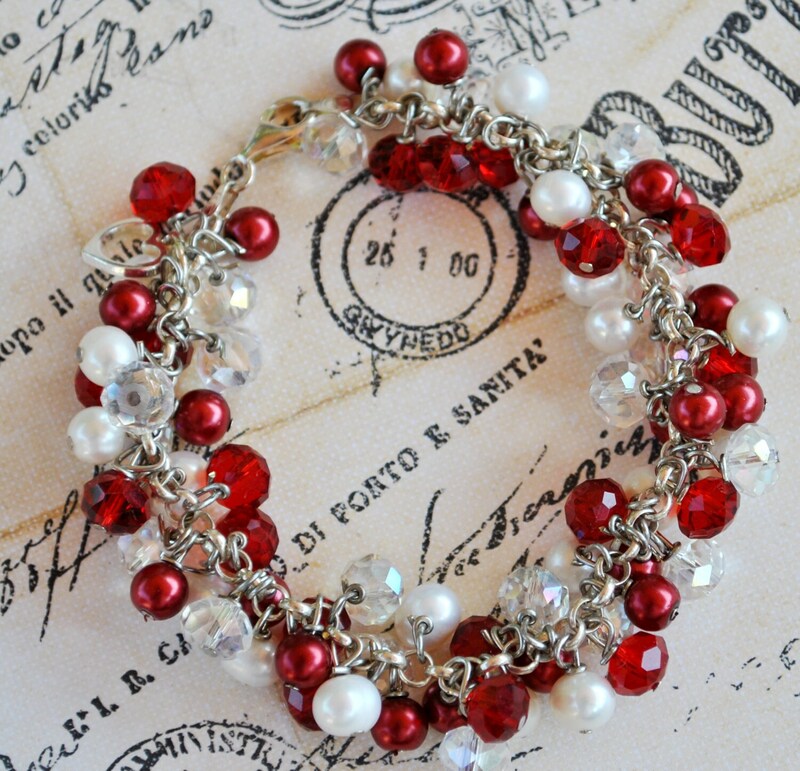 It has lots of fun movement with each element wire wrapped onto a sterling chain link bracelet with lobster clasp.